Generally clear skies. Low 36F. WSW winds shifting to N at 10 to 15 mph..
Generally clear skies. Low 36F. WSW winds shifting to N at 10 to 15 mph. Shavano Academic Booster Club announced its April students of the month for Salida School District R-32-J. Teachers select monthly winners based on excellence in academic achievement, extracurricular activities, special efforts and/or citizenship. Parents: Jamie and Joni Baker. Comments: Dean is an enthusiastic student who is always willing to lend a helping hand. He is the first to welcome anyone into our room and make sure they feel at home. Dean is always ready to help others and brings humor and joy to everyone around him. His positive attitude is contagious within the classroom and our school. Parents: Brian and Kelsey McNeill. Comments: Kinnie represents everything optimistic and resilient about a student. Kinnie treats everyone with kindness and produces high quality work, paying attention to the details. Kinnie is part of a very supportive family network who have rallied behind her to keep her moving forward in her academics and after-school activities. Parents: Heather and Peter Kelley. Comments: Emery is nominated for this award due to her persistence and high-achieving work ethic. Emery pays very close attention to details and makes sure to always give her best effort across all subject areas. She consistently has a positive attitude and adds thoughtful ideas to class discussion. Emery treats everyone with kindness and respect. Parents: Jesse and Sarah Pridemore. Nominating teachers: Seventh-grade core team: Jacque Fisher, John Goetz, Kate Madden and Scott McFarland. Comments: Brayden is a well-rounded young man with a strong work ethic both in and out of school. His grades are excellent, reflecting the effort he puts into his classes. 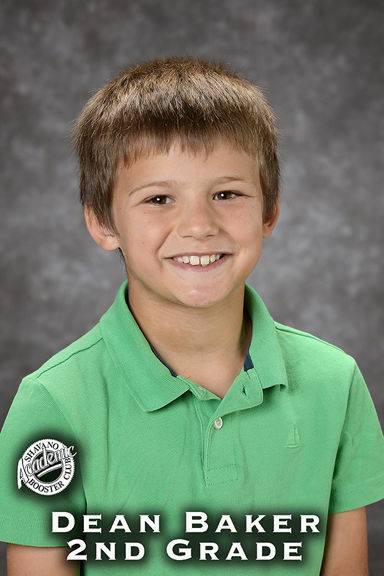 Brayden also excels in 4-H, where he is a leader as well as a mentor to other members. We appreciate Brayden’s respectful and polite demeanor toward teachers and peers. Parents: Bryan and Birdie Kuhl. Nominating teachers: Eighth grade core team: Todd Bright, Stephen Crane, Heather Eagen and Amy Tressler. Comments: Kira is an upbeat and optimistic student. She is kind to everyone and helps other students. Kira perseveres when things get tough by asking questions and trying her best. She is involved in other activities and is still able to maintain her good grades. Parents: Hanley and Mike Harvey. Comments: It is a joy to watch Miles progress through school. He is an excellent communicator who is very well organized. In addition to his being conscientious about every piece of work he turns in, he is highly respectful to both his peers and adults. Parents: Leanne and Scott Pressly. 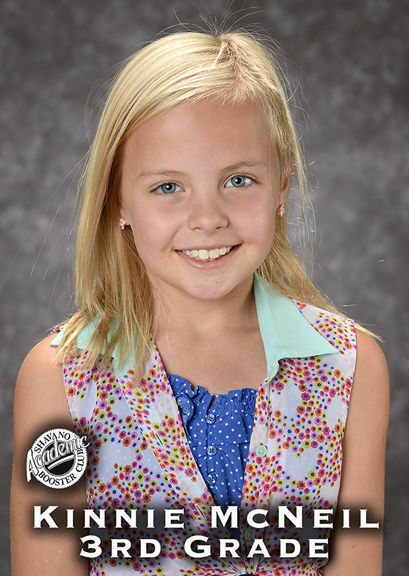 Comments: Sophie has a 4.05 grade-point average and is second in her class. She also has qualified for the second year in a row for state FBLA, yet she has never received this award. Parents: Mark and Heidi Krivanek. Comments: Abigail is worthy of this recognition because she displays everything that encompasses an excellent student. Her grades show how dedicated she is to her academics and her endless motivation. Her overall positive attitude is proof she cares about the work she produces. She is an excellent role model for her classmates and worthy of this recognition.